Can someone tell me the best place to buy frozen baby chicken for my Corn snake Ruben? American Rodent or RodentPro both sell chicks and quail. Please take note that the resulting poop is nasty. 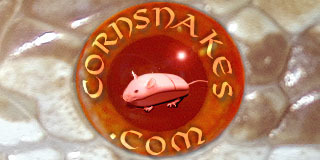 Unless your corn snake won't eat anything else, mice are easier and all the nutrition he needs. There are a few species that need variety in their diet. Corn snakes are not one of them. I got the chicks I need for different species snake at Layne Labs, but they seem to be seasonal and don't always have them in stock. They seem to have quail year round. I bought quail last fall and this spring. Thank you for your replies. I will stick with mice. I thought corn snakes just needed a verity in food,this is my first snake so I’m learning. Wouldn't a baby chicken be overly large for a cornsnake? My girl has eaten nothing but mice since a baby, when she downed a few earthworms. Then I progressed up through the ages of mice. Now she eats 3 adult mice per feeding. if your corn snake is a good sized adult, it will have no problem with a baby chicken. When we say "baby chicken" we're not talking about one of those little fluffy chicks kids get at eater. Those are usually several weeks old. We are talking about a newly hatched chicken, right out of the egg. They are no bigger than a mouse.